Tina Downey was a frequent poster at the IWSG. She also hosted the blog hop, in addition to her own Life is Good blog, and did a million other duties, all the while encouraging blogger friends along the way, emailing, keeping in touch, commenting, being the wonderful human being she was. IWSG, the Challenge, and all that Tina had a hand in will never be the same without her, but as they say in theater … the show must go on, no matter how heavy our hearts now that Tina has departed our world. 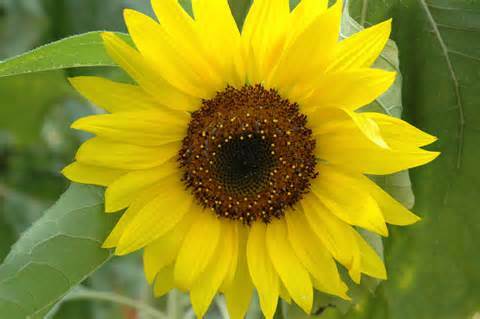 In Tina’s memory, the A to Z Team is hosting a sunflower tribute on September 8, 2014 — Sunflowers for Tina. Click here if you’d like to see how it works and add your name to the list. Hope to see you on Monday, September 8. What am I feeling insecure about these days, as a writer? Oh, so many things, but mostly not writing as much as I’d like to. Life is too crazy. Hectic. I know: there’s no one to blame, but yours truly. Still, I have to complain here. I just have to. Forgive me. Will try to remedy the situation as soon as possible. On a bright side, I’ve been reading a lot. Two Pulitzer Prize winners back to back: The Goldfinch and A Visit from The Goon Squad. Very different books, both good, but as it often is the case with literary works, one must be patient, allow the plot to develop, allow the writer to paint her world, bring her characters to life slowly. 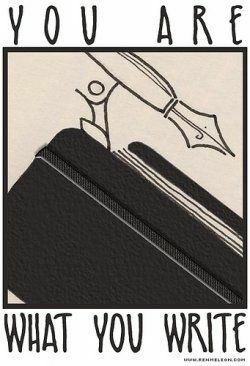 Literary anything, as someone said, is a labor of love. But a girl can only take so much literary work back to back. Now, I’m reading Brad Thor’s Black List — a thriller. Extremely fast paced, very interesting, thought-provoking. And reading, dear friend, is the self-administered medicine for my insecurities these days. A temporary drug. Today is IWSG day, but since I’ve been doing more editing than writing, and seeing that the wonderful Noelle Granger tapped me to participate in the Writing Process Blog Hop, I am combining the two into a Support-Writing-Process Extravaganza. I’m editing the first chapters of my mystery titled Wounds. There is a balance to be struck between internal monologue and forward momentum. Having both in equal amounts… well, that’s where editing and lying awake at night come in. I’m also finishing a short story titled Play Music. This one keeps demanding attention, like some jealous lover. Others suggests something similar, and works are different within any genre. 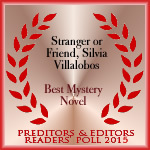 A writer friend concluded my novel is not your regular mystery or suspense, but more on the women/literary/mystery side. Why? Must be the internal monologue, the characters’ emotions on display. And emotion (done well, not the sappy kind) lies at the heart of a good story now, doesn’t it? Why, oh, why? 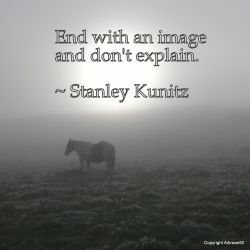 Mystery is what I find engaging on story and character level — presenting the reader with a series of problems and questions, which arouse feelings that are often beyond imagination, yet seem real. Short fiction is, in some ways, like a captured moment of time, sometimes mysterious, though perhaps delicate. It encapsulates the sense of wonder in our hearts, our fears and secrets. I write beautiful characters and fall desperately in love. I sit down and write, write, write. Usually when the house is quiet, so I can focus. I stare out the window for long durations, see my characters in action, envision the setting. I put together a few general ideas, imagine the ending, but I don’t fully outline. Sure, I have a sense of direction in mind, the details. And the lack of an elaborate outline has nothing to do with killing creativity. It’s been my modus operandi for so long, switching gears now would drive the whole thing into a tree. Here is the beauty of the process: there isn’t — nor should there ever be — a one-fits-all formula. This is writing, not math. Many thanks to Noelle for inviting me to play. Since I’ve done this blog hop previously, I’m leaving it open to all writers: please come share your writing process/stories with us. 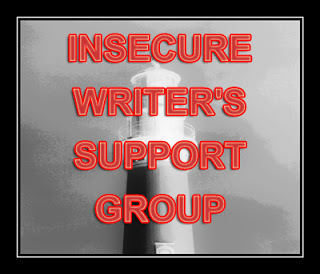 If you’d like to visit other IWSG members, they can be found here. Come one, come all. No writer can do it alone. Recently, I’ve read two writers in my critique group who made me yearn to be a better writer. Perhaps that’s not a full-blown insecurity, but it certainly is a reminder that the literary road I have to travel remains long and winding. Both stories center on tragedies (an easy target, and maybe overdone). But in both cases, the events leading to the big reveal (what weighs heavily on the characters’ hearts) are described slowly. The pain, deeply internalized, does not overwhelm, giving the reader layers of emotion and psychological depth. The beautiful language many times comes at the reader in metaphors that stir the thoughts in many directions. I kept waiting for the writing to falter (those aren’t final works) but it never did. I was never pulled out of the settings, never unable to visualize the character’s emotions. The writers did something wonderful not only for themselves, but for me, the reader. They inspired me. They gave me ideas. And that’s what reading is meant to do, isn’t it? “… literature is about the obsession with ideas.”~ Ryan McGinty of the Gustavus A. College. After a month of daily blogging, when ideas are in short supply and energy even lower, reading great literature, or just reading, does two things: replenishes the overtapped creative well, and makes me want to get better. The latter is definitely in the realm of insecurities, and it can be treated only with reading and more reading, hopefully followed by writing and better writing. ~~~ If you’d like to share, encourage, or read other Insecure Writer’s Support Group participants, please visit this site.